Leading climate scientists and heritage professionals from across the globe are gathering on Orkney to measure the threat climate change poses to world heritage sites. One school has been shut down in a north or north-east community every two months on average during the public spending squeeze in the last decade. An exhausted former cancer patient from Orkney has become the first person to run the 500 plus miles of Scotland’s answer to America’s Route 66. The Stromness Pier Arts Centre in Orkney is celebrating its 40th anniversary. Kim Keillor should have been enjoying one of the happiest times of her life when her daughter, Abbi, was born in 2015. A lifeboat crew saved a fishing boat from being swept on to rocks off Orkney - and was then given lobsters as a reward. Interest in visiting Orkney was “unsurpassed” by any other destination at national tourism exhibition in Glasgow, say local tourism chiefs. A boat owner whose vessel was linked to the death of a diver has admitted breaching health and safety laws. Orkney will be photographed from the air in a project to tackle coastal litter. Construction workers carrying out improvement works in Orkney came across more than they bargained for after discovering what is believed to be the wall of a 14th century castle. The UK's aviation regulator has stepped in after a plane took off from an island airport after air traffic controllers had gone home. Emily Findlay has impressed many people across the north-east of Scotland with her resilience in dealing with serious illness. Homes in Orkney were left in darkness last week after a kite got caught up in power line. A ground-breaking scheme has been launched allowing people across the Highlands, islands and Moray to use each other's leisure facilities. When the news came through in March 1999 that Alma Victor “Champ” Hunt, OBE, had died, it gained precious little coverage outside his native Bermuda. Former hostage Terry Waite has been unveiled as one of the star attractions of this year’s St Magnus International Festival on Orkney. An Orkney man who bombarded an Episcopalian priest with homophobic hate mail avoided a jail sentence yesterday. As public appeals go, it really takes the biscuit. A leading transport union has written to the First Minister demanding action over a £1.5million funding shortfall for Orkney's vital inter-island ferries. A former cancer patient from Orkney is to attempt to become the first person to run the 500 plus miles of Scotland’s answer to America’s Route 66. David Reid is completing his preparations to follow in the footsteps of one of the world’s most legendary explorers next month. A new salmon farm to be constructed in Orkney is to provide a £3 million economic boost to Scottish firms. Members of the Scottish Youth Parliament (MSYPs) for Orkney will be elected from an all-female shortlist of candidates. The water supply on two of Scotland's remote islands is secured for decades to come after Scottish Water completed a £2 million project using innovative technology. 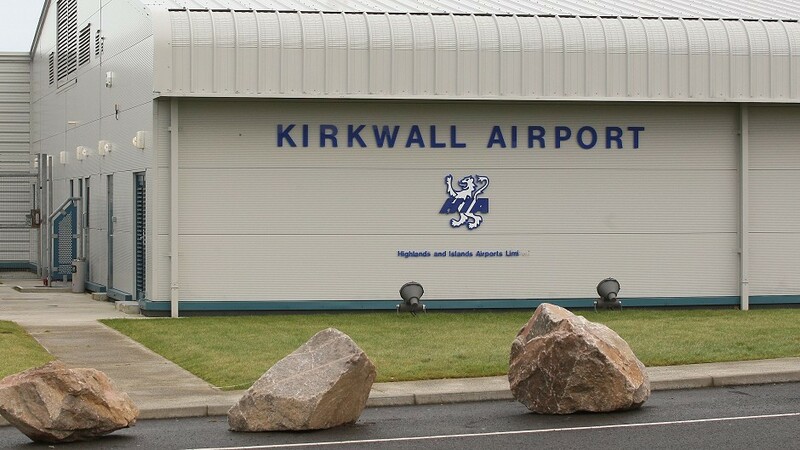 A man has been charged in connection with an alleged sexual assault in Kirkwall earlier this week. A 53-year-old man has been arrested in connection with a sexual assault in Orkney. Orkney Islands Council has agreed to remove overnight staff at a sheltered housing scheme in Stromness - a decision condemned by union leaders. A 53-year-old man has been arrested in connection with a sexual assault in Orkney, a police spokesman has said. Police are investigating a rare alleged sexual assault on a woman in Orkney.